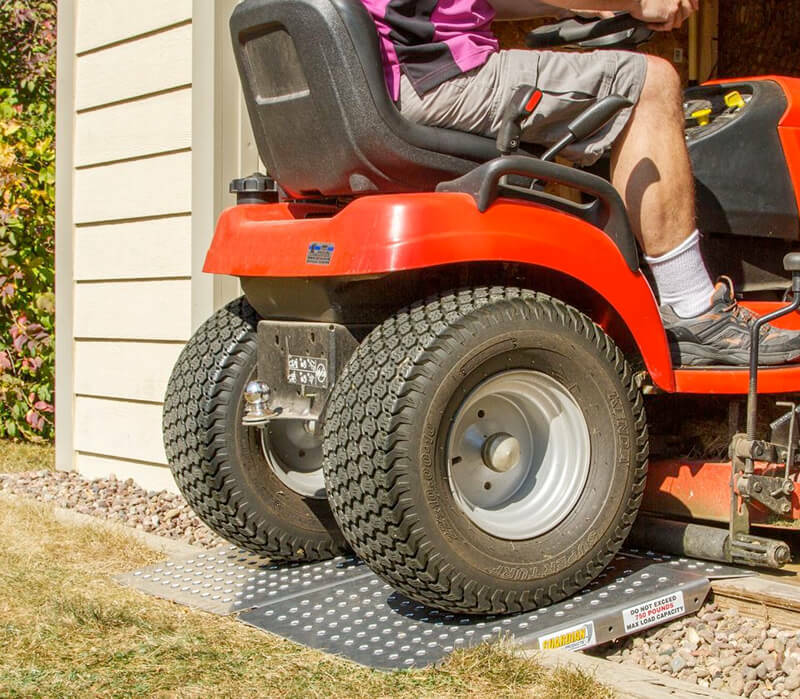 Easily load all your lawn & garden and power equipment into your shed with our new lightweight aluminum shed ramps. 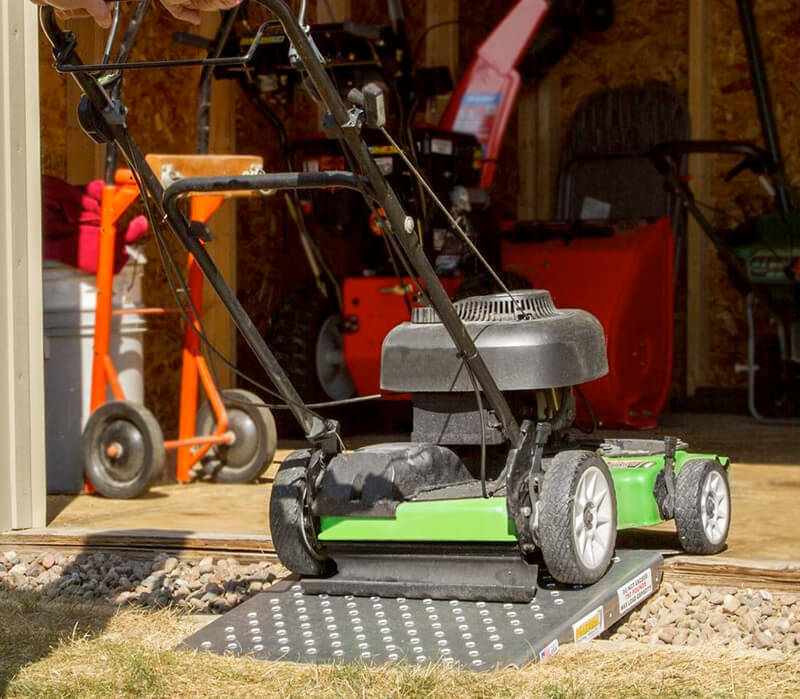 These ramps can be used individually for push mowers and wheel barrows bolted together to create a wider platform for riding movers or snow blowers. As a result of our innovative design these ramps weigh only 11 lbs each and therefore are easy to move and store. The punch plate serrated traction surface provides superior traction in all weather conditions.